Online services and apps that allow you to easily send and receive money are a fast-growing trend. 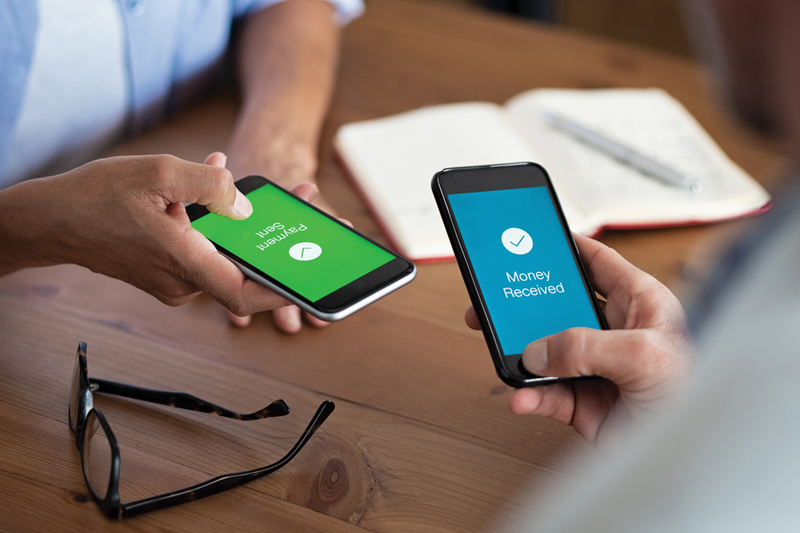 These peer-to-peer (P2P) payment services, like Venmo, Zelle, Apple Pay, Cash App and Facebook P2P Payments in Messenger, are a virtual imitation of paying or receiving cash. While these services seem just as easy as paying with cash, if not easier, you should use caution when using them. Here are some tips to keep in mind. It’s best to use P2P services with people you know and trust. Scammers are out to get your money any way they can, so it’s a good idea to know to whom you are sending money. And, if you need to accept payment from someone you don’t know for an item you are selling, Consumer Reports recommends using PayPal or Square Cash for Business. P2P payment services and apps require access to your financial accounts, so protect them like you would your debit or credit card. While these services encrypt transactions and strive to be as secure as possible, it’s a good idea to keep your app up to date and use its security features, like a PIN, fingerprint authentication or Face ID. You don’t want anyone to have easy access to your money if you lose your mobile device. P2P payment services are intended for personal use only. Most have rules that prohibit their use for commercial purposes, such as the buying and selling of goods and services. Read their agreements carefully, as some payments could be revoked, and your use of the service may be discontinued. P2P payment services are only responsible for the transfer of funds. Once funds have been sent or received, they are no longer responsible for the transaction. If you paid for something but didn’t receive it or received damaged goods, you may be on your own when it comes to a dispute. Before using a P2P service, research its customer support policies so you know what to expect. If you have already tried contacting your P2P service provider with an issue, you can report it to the Better Business Bureau. Additionally, you can submit a complaint to the Consumer Financial Protection Bureau’s Consumer Complaint Database.